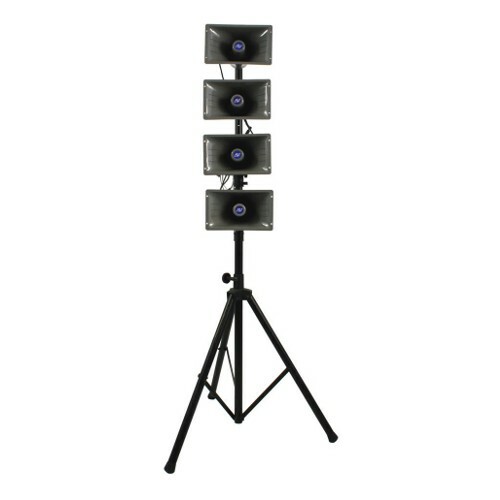 Flexible and stable heavy duty tripod stand, adjusts from 44" to 84"
Multiple input and output jacks and siren feature. 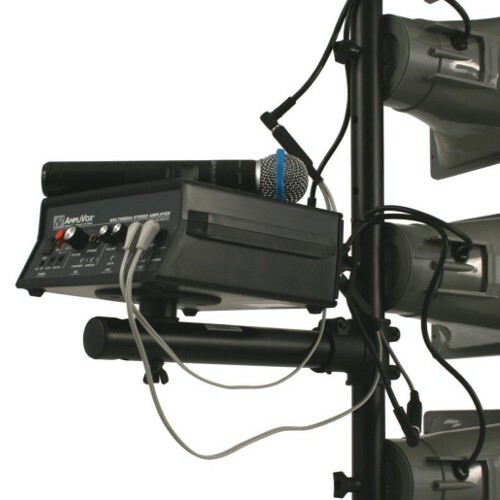 Microphone: 16 channel handheld UHF wireless transmitter. Wireless headset available. 300' operating range. 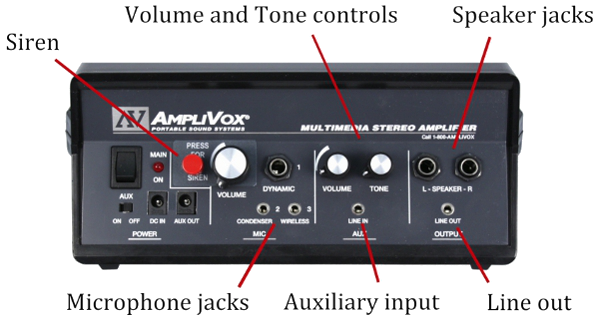 Controls: Separate master volume; separate volume and tone for auxiliary devices. 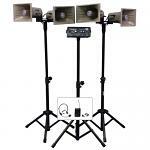 Batteries: 10 D‑cell alkaline (not included) provide 200 hrs of operation. 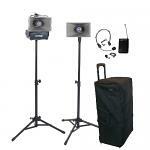 Rechargeable NiCad pack available.